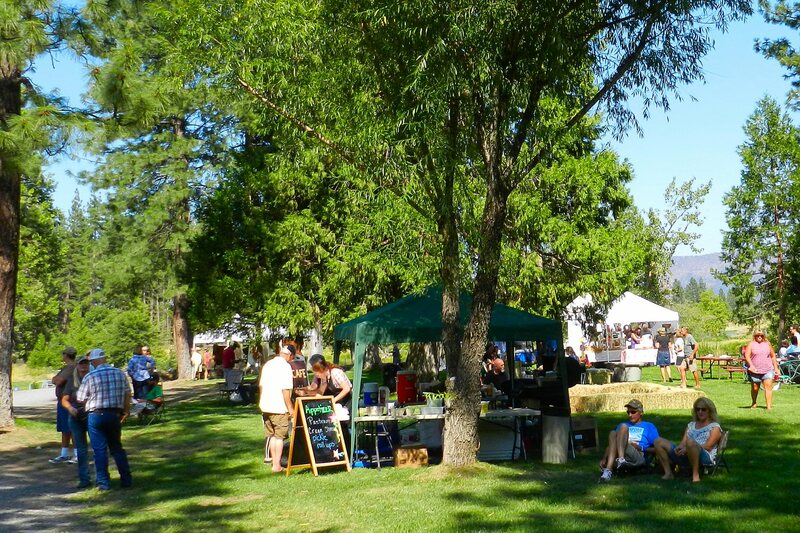 The 2nd Annual Hat Creek Beer, Food and Wine Festival, Day at the Ranch, was held Saturday, September 9th from 1 pm to 8 pm at the Hat Creek Hereford Ranch RV Park and Campground. 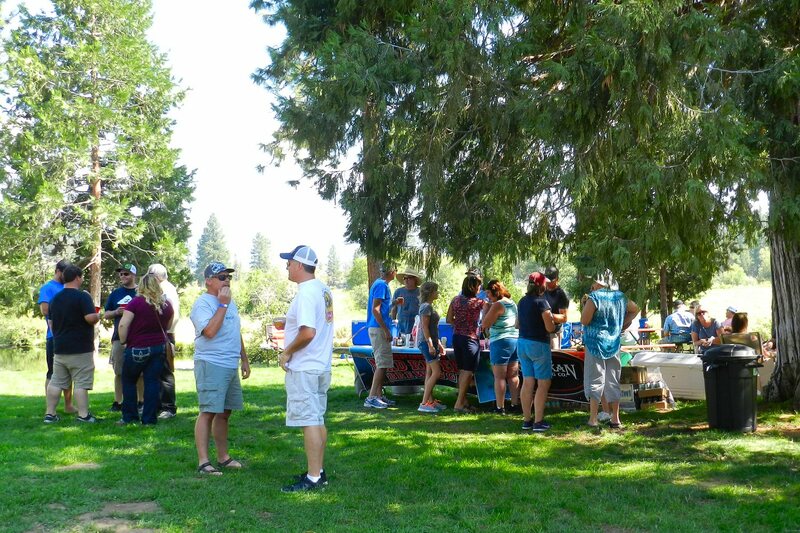 The event showcased the bounty of the Intermountain Area and provided an opportunity to raise money for numerous local charities including the Intermountain Heritage Foundation, Mayers Intermountain Healthcare Foundation, the Raymond H. Berry Memorial Pool in Burney, and the Hat Creek Fire Department. Pam Giacomini did a marvelous job organizing the event. She was there early meeting with and coordinating all of the preparations and then beginning at 1 p.m. graciously greeted the people as they came. 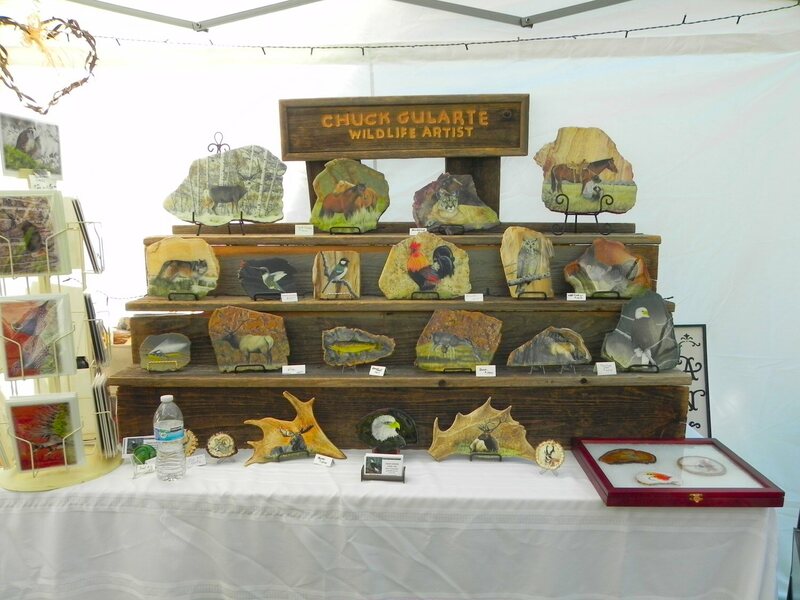 A craft fair featuring local arts and crafts began at 1 p.m. and lasted until 7:30. 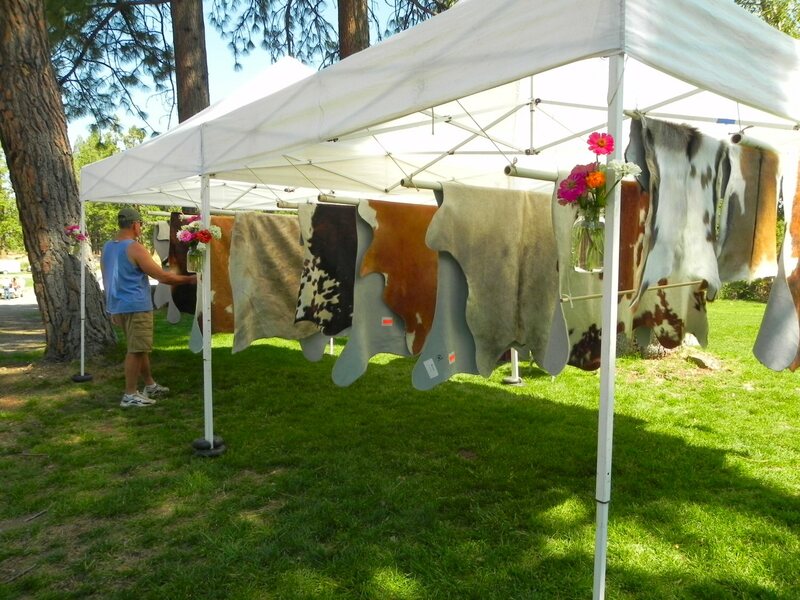 Vendors included Wildlife artist Chuck Gularte, Shasta Soap, Fall River Arts and Trophies, and beautiful animal hides displayed by Donner Hat Creek Ranch. There was live music throughout the afternoon beginning with Alex Colvin playing folk music on the Pavilion Lawn, followed by the Smokin Roaches. At 4:30 California Country began playing for the evening celebration on the Playground Stage. There was fun for people of all ages. Young people enjoyed swimming and fishing in the pond. Pit River Casino hosted a horseshoe tournament beginning at 2 p.m. The Rotary Club of Burney-Fall River ran a Corn Hole toss that began at 3:30. Also, four ranch tours were provided during the day to give folks a glimpse of local agriculture and explain the importance of sustainability for our local communities. A great variety of food and beverages for all ages was available. Local brews were provided by Fall River Brewery, Alaskan Ale and Lost Coast Brewery. Local wines included Alpen Cellars, Dakaro and Churn Creek Cellars. In addition. 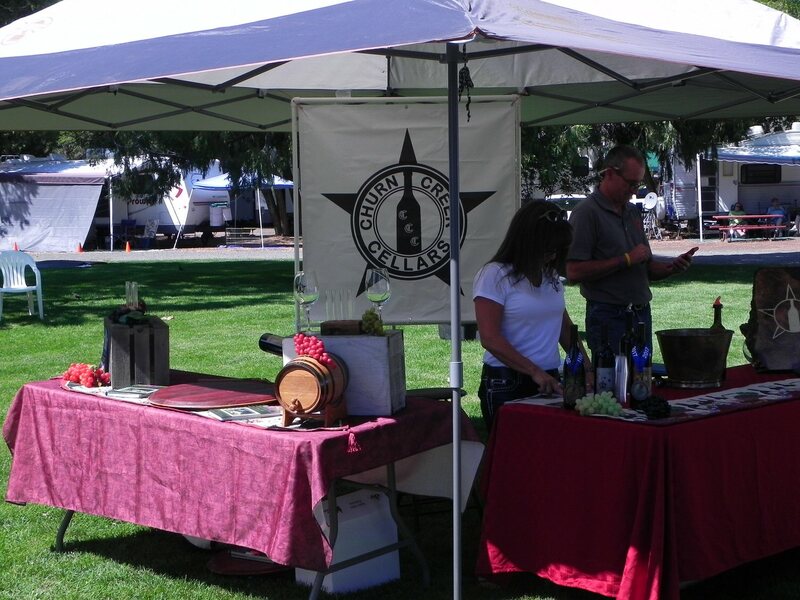 Intermountain Fair Heritage Foundation sold beer from a truck donated for the occasion by Redding Distributing. Delicious food was served by Crumbs, JJ’s, and Anna’s Country Kitchen. 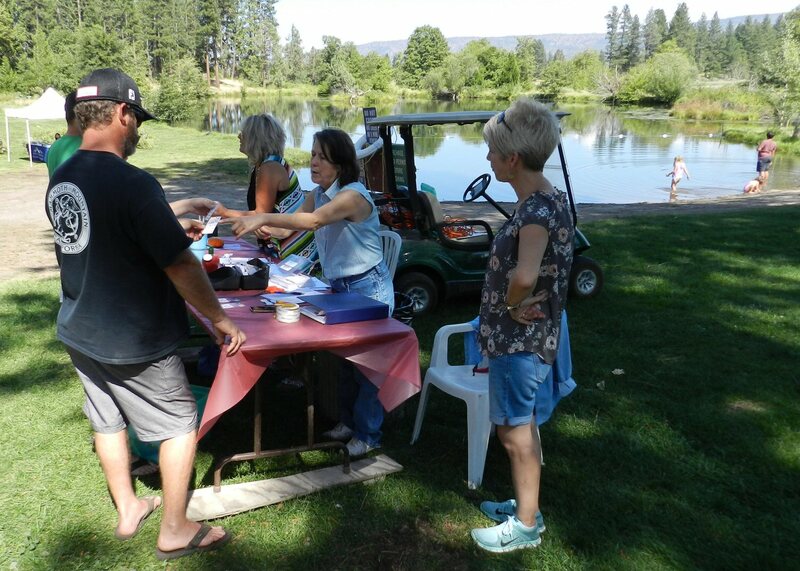 Mayers Intermountain Healthcare Foundation sold water and sodas, and Hat Creek Volunteer Fire Department sold ice cream and root beer floats. By 6:30 p.m., all of the game competitions were completed and winners were announced. The music and the fun continued however until 7:30 p.m. after which the festivities ended and everyone headed home with smiles on their faces. Lots of volunteers, businesses and local organizations came together to make this a wonderful event. 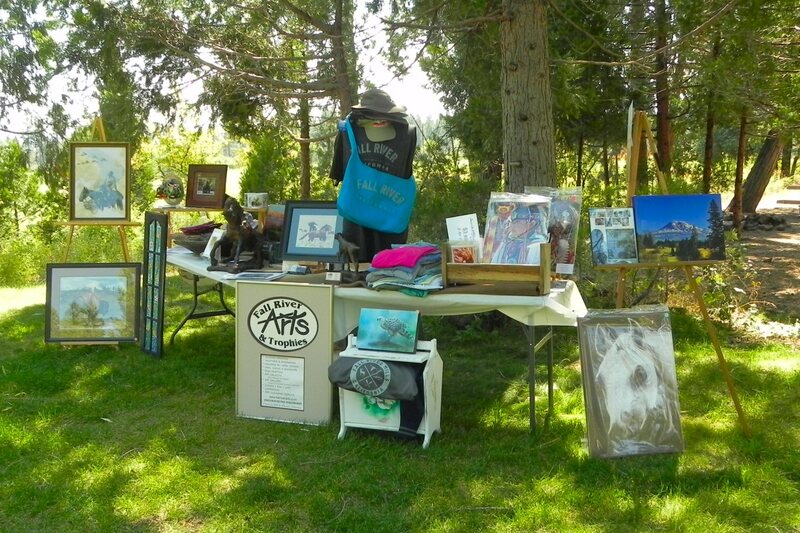 In addition to the other sponsors and participants already mentioned Palo Cedro Printing provided printing. 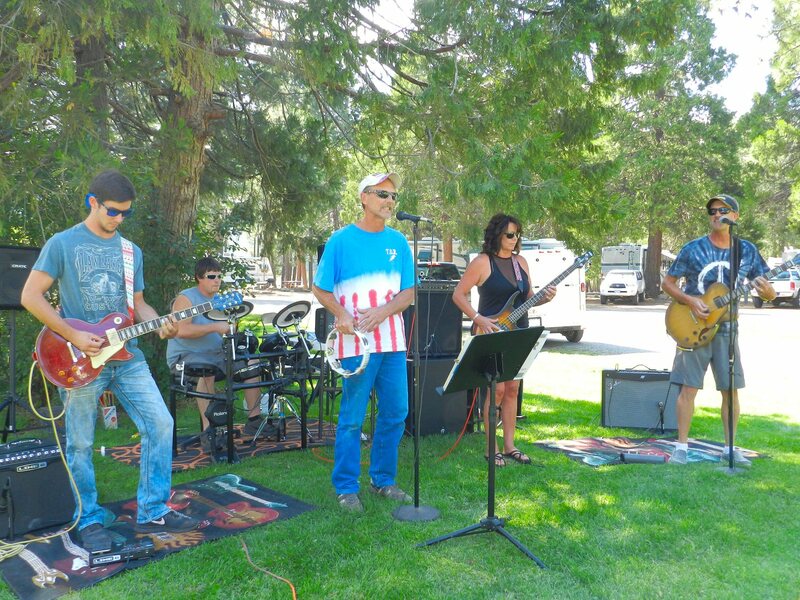 It was a beautiful day filled with food, fun, refreshment, music, and fellowship – all to support good causes. Who could ask for more? Jeff McNiel singing heartfelt western ballad. 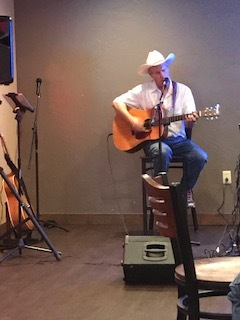 Four local musicians livened up the River Rock Bar and Grill at the monthly open mic at Pit River Casino on Thursday night June 27. 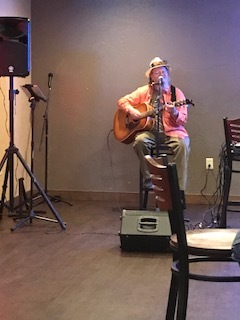 The open mic was hosted by Hal Johnson and the Deschutes Music Club. Hal Johnson came up from Redding to setup the sound system and emcee. He also performed several songs during the evening. Performers included a country singer named John, Ron Kim, Jeff McNiel, and Alex Colvin. John began the evening with a set of country music. He’s got a great voice and a good beat and sang quite a few Merle Haggard songs. As the evening proceeded the spirit picked up. Usually the open mic ends at 9 p.m., but Hal and the singers didn’t want to stop so John, Alex, and Jeff each came up to sing some more and then Hal closed it out after 10 p.m. with a talking blues accompanied by Alex on the harmonica. The audience enjoyed the variety of style, song selection and tempo. People enjoyed eating, drinking, chatting with friends and making new friends as the show went on. The open mic is held on the last Thursday of every month. All local musicians, singers, and songwriters are welcome. Sign up begins at 6 p.m. The next one will be held on August 31.